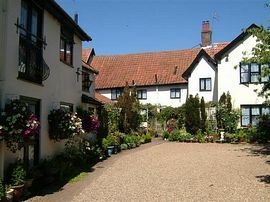 Our 3 17th century self catering holiday cottages are situated in the heart of the Waveney Valley, on the Suffolk Norfolk border, 6 miles from the market town of Diss. 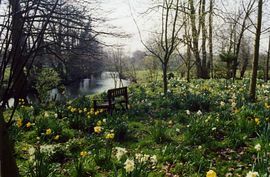 Set within two acres of woodland and gardens running down to the banks of the River Waveney, fishing is available, or you can lay back and relax and watch out for the kingfishers,swans and ducks,and owls or just watch the fish jump and if you are lucky you may even see the otter. 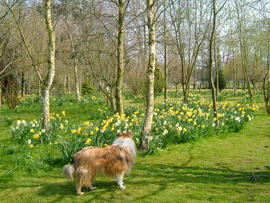 Springtime is a beautiful time in the garden, with a mass of snowdrops daffodil and bluebells. If you like walking the Angles way runs from Lopham fen to Great Yarmouth and passes through the village. This is also a good area for cycling, or just visiting the local attractions like, Banham Zoo, Bessingham Gardens, Framlingham Castle, or the beautiful Suffolk coast, Southwold, Minsmere, Dunwich. All our cottages have been well furnished and are well equipped, we feel they are more like homes rather than just a holiday cottage. Pump cottage sleep 4, with private patio. The smaller cottages sleep 2. 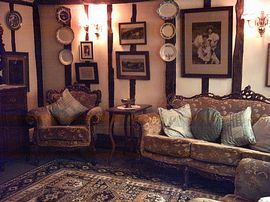 We live in part of the Olde Coach House, and maintain and clean the cottages ourselves, so we can keep them to a high standard of cleanliness, and in good order, as we feel this is important. all linen provided,towels,tea towels included. 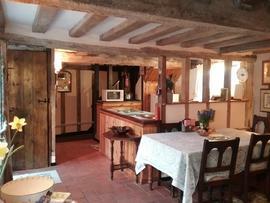 over 2 acres garden run down to the banks of the river Waveney fishing available in season. off road parking. Local market towns include Diss and Harleston.The popular olde kings head is 100yds. Local bus service every hour. From Diss, you take the A143 towards Great Yarmouth and Brockish is about 6miles from Diss, you take the first turn off into the Village of Brockdish, We are 100yards past the Village hall. Many of our guests return year after year, we feel that so many of our guests love this area, and can relax and feel at home in our cottages.